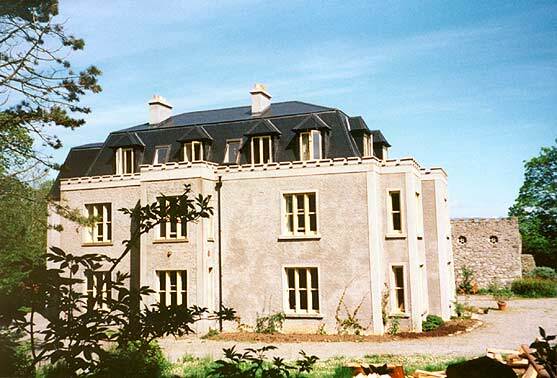 Ardtarmon House is located on the north shore of Sligo Bay. The house and farm have been in the family for five generations since 1852. The grounds around the house encompass about 10 acres with many trees enclosing different sections giving a number of different aspects and many varied walks. Amenities include a games room and all weather tennis court and a 500 metre path to the beach, which is safe for swimming and from where beach walks of many miles can begin. The residence offers tranquil, spacious and comfortable accommodation with a nineteenth century ambience, much original furniture and with four large en suite bedrooms. There is a notable feeling of quietness and peace as the nearest minor road is a quarter mile away. The five self-catering cottages in the original farm yard and grounds include a gate lodge, a thatched cottage and converted stone-built farm buildings. They range in size from one to three bedrooms and are pleasantly and comfortably furnished, three having open fires. Laundry facilities and a payphone are available. The Gate Lodge was built in 1884. It is a compact house with an open fire, electric heating and three bedrooms. It has a secluded and quiet atmosphere. The Thatched Cottage was the original home of the family and was probably built between 1790 and 1840. It is snug and charming and has two small bedrooms. It has an open fire and oil heating and faces on to the Main House front lawn. The Garden Cottage is a converted (1992) farm garage with a combined sitting room and kitchen and two large bedrooms. 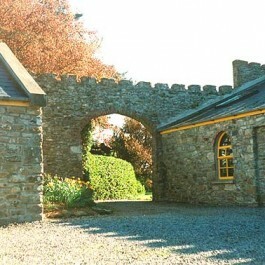 The stone work came from a local ruined cottage. There is oil heating with electric back up. The Harness Cottage has one bedroom, with oil heating and an open fireplace. It is placed at a junction of the old farm buildings including part of the dairy, the engine room, the harness room and store room. The Barn Cottage is in one half of the Barn, where animals, seed potatoes and hay have been kept in the past. It is the smallest house but suitable for couples with one bedroom and a combined sitting room and kitchenette. 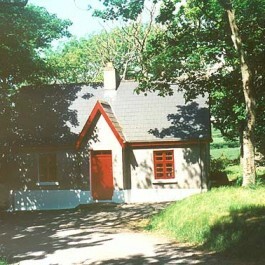 Ardtarmon House is located 6½ miles (10½ km) west of N15 on Drumcliff to Raghly road.